I cannot believe that Christmas is almost 10 days away! How did that happen? My kids will be out of school Friday, which means it will be crazy mayhem around here 24/7. Glad I’m prepping for Christmas by making more Christmas cookies instead of wrapping gifts – whoops. Priorities, priorities. Anyway, these Christmas Sugar Cookies are delicious, fun and looking like they’re going to be a holiday staple around here. 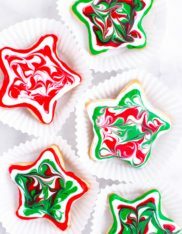 The sugar cookie itself isn’t overly sweet and is firm; it holds its shape well when cutting out the shapes, which is always a plus. 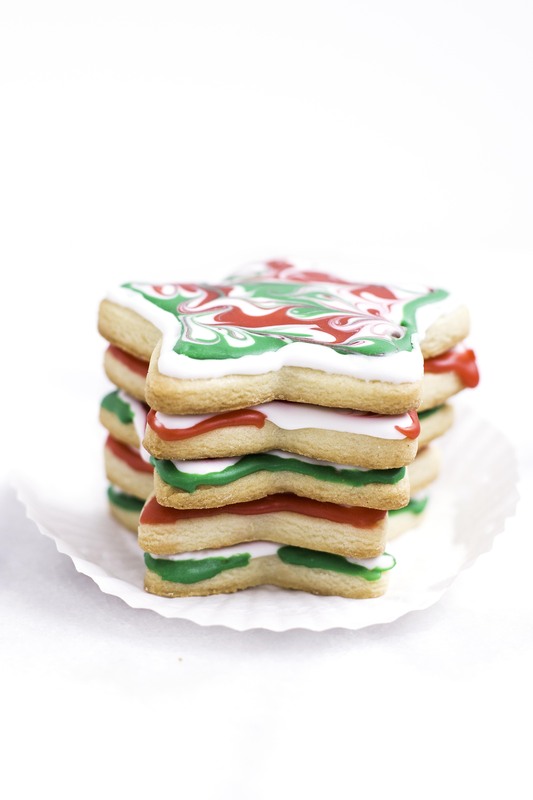 I think these Christmas Sugar Cookies have definitely earned a spot in our holiday cookie repertoire. Happy decorating! Cream together the sugar and butter until light and fluffy. Scrape down the sides and add in the vanilla and egg, mix until combined. In a medium bowl, sift together the flour, baking powder and salt. Slowly add the dry ingredients to the wet ingredients with the mixer on low. Mix until it's no longer crumbly and has formed into a solid dough. Form the dough into a flat disc and wrap with plastic wrap. Refrigerate for 1-2 hours or until firm. When you're ready to make the cookies, preheat oven to 350°F and line 2 baking sheets with parchment paper. Roll the dough out on a lightly floured surface until it's about 1/4" thick and cut out the shapes. Bake for about 10 minutes or until the edges are golden. Allow the cookies to cool completely before decorating. To get the look of these cookies, trace the edge of the cookies with alternating colors until you get to the middle. 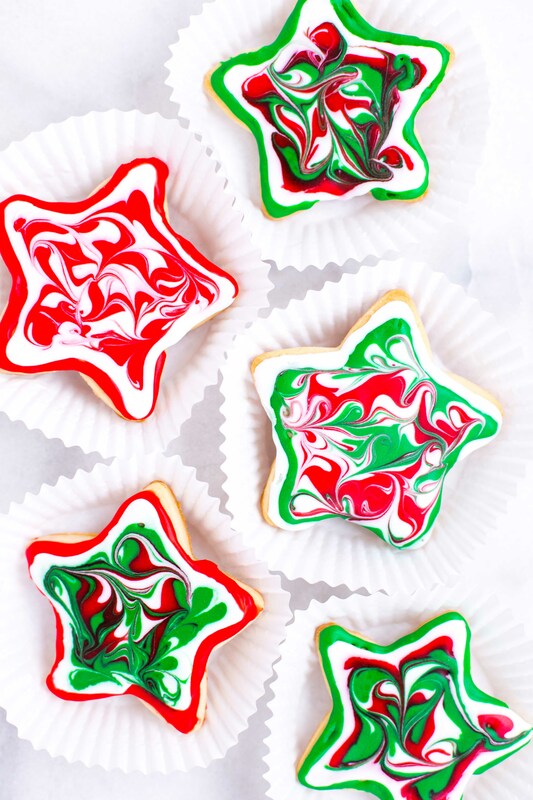 Once the surface of the cookie is covered with icing, use a toothpick to swirl through the colors to get the marbleized effect. Allow the icing on the cookies to completely set before storing. Cookie recipe from Passion for Savings.